Experienced, Dedicated Marital & Family Law Attorneys. Division of Property, Alimony & More. can be critical to your child’s future. WELCOME TO J. DEMERE MASON, P.A. When you are faced with any kind of family legal issue in the Jacksonville area, the attorneys at Mason Family Law are there to offer legal guidance during this difficult time. With more than 40 years of combined legal experience, the father and son team of J. Demere Mason, Esq. BCS and Demere Mason Jr, Esq. provides skillful representation in all areas of family law. 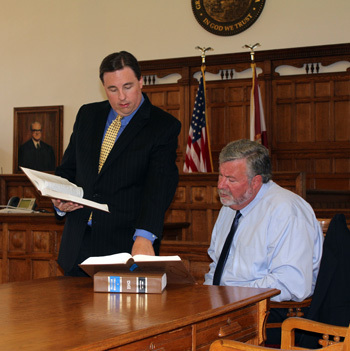 Family legal disputes can be quite costly, especially when the case goes to trial. Our firm works hard to develop creative and cost-effective solutions that protect your interests while minimizing legal expenses. Often, we are able to arrive at a resolution without going to trial. When your legal matter is hotly contested, however, we meticulously prepare for trial and aggressively represent your interests while keeping you advised of all options available. In today’s society, there are many family issues that require legal guidance and representation. When families are broken apart, it can be very stressful for everyone involved. These situations often lead to legal battles in which a family’s future is decided by a court. J. Demere Mason, P.A. is equipped with a team of experienced attorneys who can help guide you through any kind of family legal situation. The Jacksonville divorce lawyers at J. Demere Mason can help you deal with all matters surrounding the dissolution of your marriage. During marital disputes, there are always a lot of emotionally charged issues, and it is helpful to have an attorney that is compassionate and committed to working toward a resolution you can live with. Issues surrounding marital property division, pre- and post-nuptial agreements, alimony and child support will have a major impact on the future of your family. We work to help you come up with strategies and solutions to resolve these issues in a way that protects the interests of all those involved. J. Demere Mason, P.A. handles all aspects of child custody cases; including child support, child support modifications, visitation rights and paternity. Our attorneys will cover all the ins and outs of your case and guide you toward a resolution, so you can put this behind you and move on with your life. Divorces involving children contain several intricate details that must be sorted out before families can move forward, and dealing with these child custody issues alone can be a major challenge for divorcing parties. The best interests of the children will always be the number one consideration of the court, and it is our job to represent your point of view regarding these matters. With so much on the line, it is important to have an experienced advocate in your corner. All of our clients can expect confidentiality and a touch of personal attention when they choose J. Demere Mason, P.A as their family law attorney. Contact our office today at 904-726-8589 to schedule your consultation.